An exclusive dizzying selection of champagne, cocktails and international wine list on our Sky Bar. 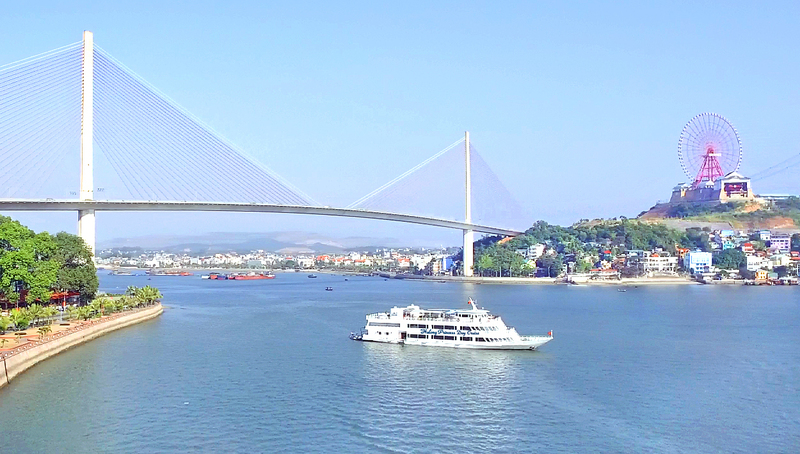 Relax with background music while you look at the spectacular view of Halong bay. 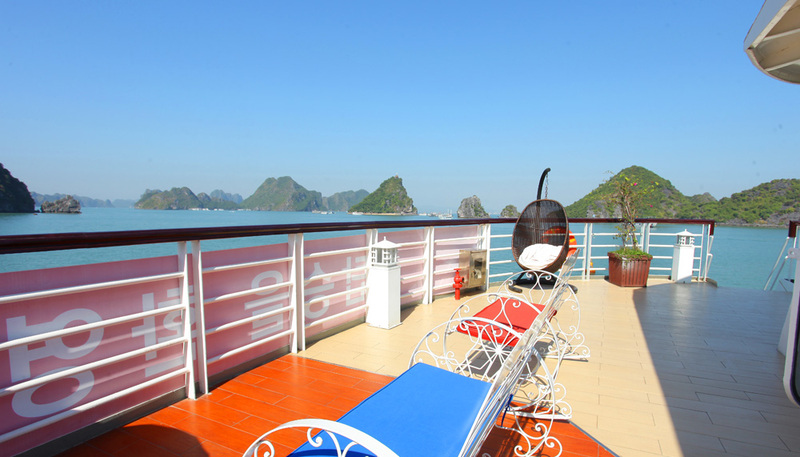 This floor has full-length windows that lets you view The stunning beauty of Halong bay. 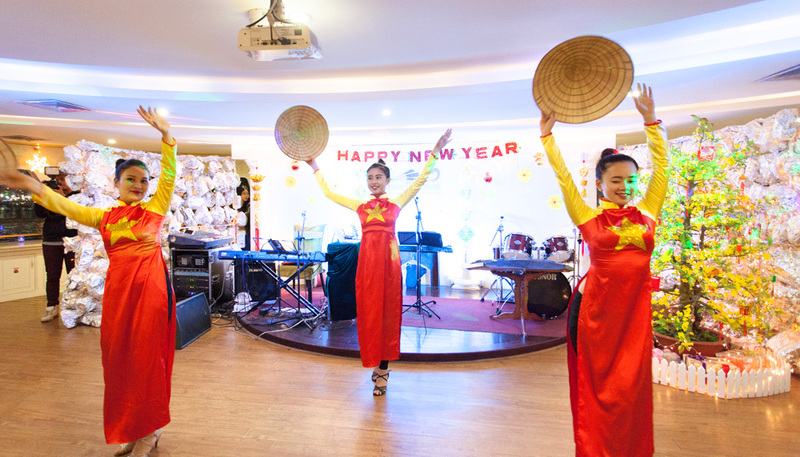 with a capacity of up to 160 guests including 40 guests (VIP room) that also serves platted service. The Cruise is 100 % new, the entire frame is made of steel , painted in white,with new and stylish design with luxurious and state-of-the-art equipment. 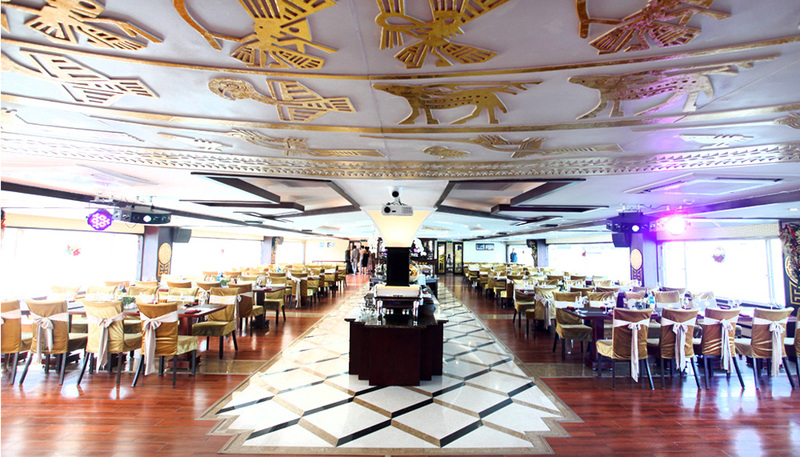 The cruise has a length of 60m & 14m width, with 2-storey restaurant for guests dining, banquet and conference facilities.